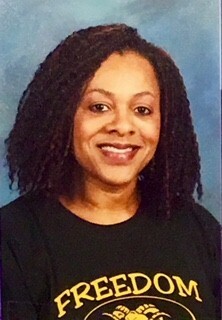 Congratulations to Pamela Taylor, Media Specialist and Teacher-Librarian at Freedom Middle School, for being named the 2018 DeKalb County School District Library Media Specialist of the Year. Media Specialists throughout DeKalb County School District (DCSD) and beyond share their talents with students, teachers and staff on a daily basis. Each applicant for this year’s award demonstrated elements of an exceptional library program. After thorough consideration, Pamela Taylor received overwhelming support as this year’s choice and award winner. As the district’s choice, Pamela Taylor will represent DCSD in the Regional Metro portion of the competition in Spring 2018. The statewide Library Media Specialist of the Year will be selected from regional winners.